Our panel of experts provide their tips for improving webchat in the contact centre. Pop-ups can offer help before the customer knows they need it. But companies must be mindful of how and when pop-ups are used, so they do not seem annoying or intrusive. A/B split testing can help to determine effectiveness. Consider offering chat at certain parts of the customer journey, or if the customer is showing behaviour that might lead to an abandoned shopping cart. Using rule-based triggers, you can push the chat function at key times to help the customer, rather than using blanket pop-ups. This should be based on things like total numbers of pages viewed, or key pages visited such as “help” or “FAQ”. Alternatively, retailers might want to trigger the chat box after a set time if there are items left in the shopping basket or if customers have jumped to other pages outside the checkout. A password refresh is not as critical as someone asking a last-minute question about your product at the point of online checkout. So, it might be useful to provide priority routing for customers arriving from key pages and make webchat buttons highly visible on these pages, to ensure a swift and successful customer interaction. As an additional customer service enhancement, ensure specialists are available to take queries from priority web pages to speed the customer interaction. Throughout the chat process keep communicating. Provide a position-in-queue announcement or an estimated time-to-answer and show activity indicators, such as “advisor typing”, so that the customer can see progress and know they are receiving your full attention. Also, at busy times, consider using a chatbot or a computer program that mimics human conversations using Artificial Intelligence (AI), as bots can proactively send messages and answer basic queries. Always remember that the staff taking webchat sessions should be a regular part of your quality monitoring and coaching programme. First, find the right interaction to coach. Your call recording software should provide you with the ability to monitor these interactions and the desktop screen recording in the same way as a phone interaction. This may be important in the development of a multitasking, professional advisor. As the advisor is assessed, the coaching sessions should also use evaluation forms designed for a multichannel experience, incorporating consistent behaviours from a phone interaction, but including questions to evaluate grammar, tone and speed. With today’s generation being a lot more visually led, customers want to be in a position where they can show photos and/or videos of the difficulties that they are experiencing. So, it could be wise to have a webchat feature that is a cross between emails, through which attachments can be sent, and live chat, to create an online interaction (much like that of Facebook Messenger), where customers receive an immediate response, while able to upload whatever they like. This combines all the positives of responsive customer service, as it does not require the customer to share their mobile number, but it does allow them to chat and upload images and videos that may help their request. The contact centre is also able to keep a log of the chat history since they will now have all the communication and uploads stored in one place automatically. When talking to customers via webchat, it can often be difficult to explain complicated issues or show them where particular forms are located, without picking up the phone or asking for further contact details to extend the communication channels. To solve this issue, companies can enable a knowledge base feature within the webchat software that allows advisors to guide their customers through the website, to take them to a particular page of information, for example. Depending on what the topic of conversation is, the software may also recommend helpful articles for the agent to send to the customer. This is also useful for companies who have extremely layered websites, as customers can easily feel overwhelmed by the number of tabs and pages they need to search through to find the relevant information. When dealing with webchat, advisors are often on call or waiting for requests to come through. However, this can be disruptive to their workflow if they are working on a different task at the time that the query pops up. In order to utilise their time more efficiently, contact centres should integrate their webchat software into the agent application. This way, the agent will never need to switch between screens, even when they are multi-tasking. This also makes things simpler for data capture, as CRM and other back-office programs are already integrated when the customer/prospect makes contact. Via direct integration of software, contact centres can look to boost agent productivity, while also managing to better engage advisors, as they will be able to manage more tasks with less effort. Customers who use webchat tend to be slower at answering responses, as they are often doing other things at the same time. This leaves advisors hanging and they may find it difficult to bring a chat to an end. Having a defined process to end the chat is helpful and aids First Contact Resolution (FCR). Perhaps something like, “We seem to have answered your question. Are you ready to end this chat now?” Advisors need to get agreement to close the chat. An unresolved chat can lead to the customer starting a new chat with a different advisor. This creates a fragmented journey with various advisors all providing pieces of the answer. If a customer launches a webchat, it is likely that they have already browsed your website. Nonetheless, it is helpful if the advisor acknowledges the customer’s route to them. Consider asking “Have you seen the details on our website?” If the answer is yes, then provide more detail than is offered on the website, or refer them to a specialist. Avoid demand failure by design by clearly defining your offering. Make sure that all the processes are in place so that interactions complete on first contact. Ensure that advisors clearly state when they are not able to complete the enquiry over chat and direct the customer to the most appropriate channel for a quick resolution. For example: “We need to ask you for sensitive data so this needs to be done over the phone.” Avoid partial completion and double handling as this impacts productivity and affects customer satisfaction. A recent study from Lionbridge and the ICMI found that only 19% of contact centres provide multilingual support for voice. The percentage is significantly less for chat. An easy opportunity to improve webchat is to add multilingual capabilities to your existing chat communications platform, enabling advisors to communicate across languages. These can be customised for individual organisations, industries, and use case – to ensure the highest levels of translation quality. The benefits of doing so include call deflection combined with improved customer satisfaction and Net Promoter Scores (NPS). There are significant benefits to webchat being part of a structured messaging approach that provides customers with clear escalation. For example, a customer might begin their engagement via a Virtual Assistant or a Messenger-style thread, then drop into webchat for a more involved discussion, then opt for a live conversation if more complex issues are being discussed. At each handover point, the transition needs to be seamless. If your digital journey isn’t performing optimally, consider offering additional webchat support so that customers don’t drop off your site before completing their journey. If you haven’t got enough agents to service webchat demand, then don’t display webchat as a service option. It’s when chat is offered but not available that customers start to get frustrated. 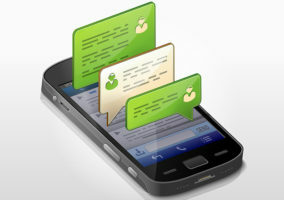 Successful webchat initiatives depend on driving volumes of interactions through the chat channel. 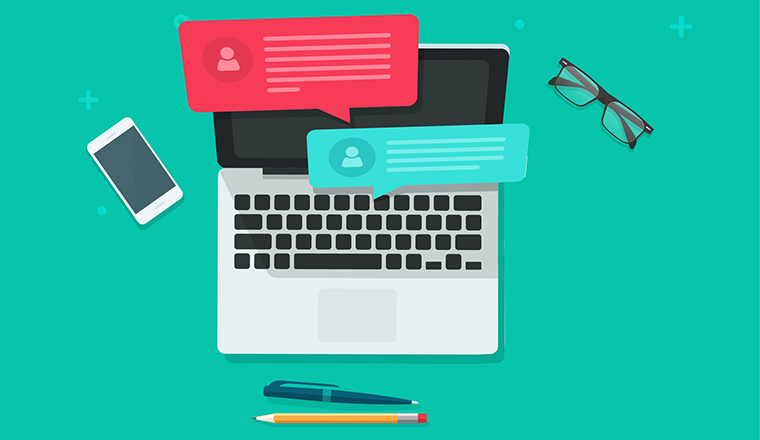 How online chat invitations are presented and worded is critical, particularly ensuring that they resonate well with your target demographics. Getting the placement, design and wording right is essential – you need to constantly A/B test any changes to make sure they’re delivering the right results, especially as percentage point improvements can lead directly to bottom-line benefits. By analysing what chat advisors and customers actually say, the contact centre can drive further service improvements. Customer service teams need to spend time looking at chat transcripts and capturing those responses and activity that works best for customers. There’s so much rich data available and, for companies looking to transform service delivery, the answers will inevitably already lie within the database of chat transcripts. Chatbots can improve efficiency by handling the initial part of chat queries. They can do so by requesting customer ID, to access customer information, previous contact history and answer very simple queries. However, the majority of chats exceed the capabilities of a chatbot and need to be passed to an advisor, who can then utilise the information retrieved to be better informed about the customer. The decision on when the chat is transferred to an advisor is defined by the system, so make sure that decision process is correct and can be reviewed and amended. Research shows that as many as 50% of all customers may actually be experiencing problems during their time shopping online, even though you may hear from only 5% of them. 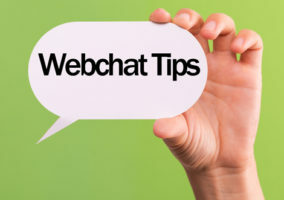 The most important thing is that webchat invitations are offered in such a way that the customer is carefully selected and does not feel offended, annoyed or discouraged at the appearance of proactive webchat and that encourages them to further explore your website. When they are on the web do you know what they are doing? 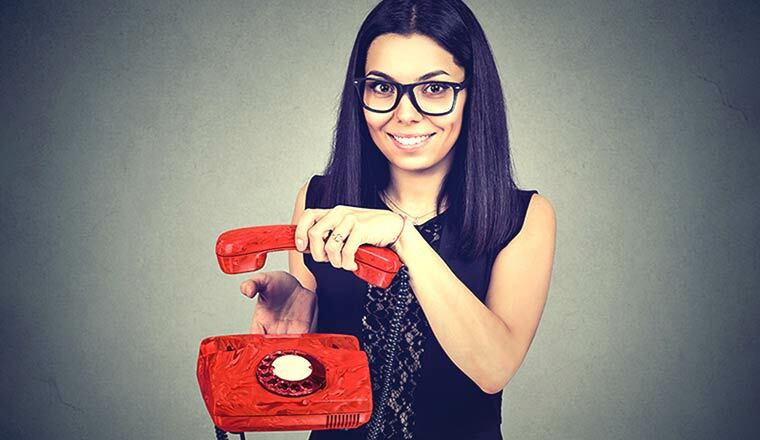 Do you know when they need to get in touch with one of your employees? Can they do it on the channel of their choice? If you know this you will be able to provide the help they need. If customer satisfaction is only measured based on individual interactions, you cannot know how happy a customer is with the entire experience you deliver. It’s also very hard to identify which interactions on the customer journey are a source of dissatisfaction. If webchat performance is to be improved, measuring satisfaction before and after the interaction can prove helpful, so advisors can perhaps pick up on where they went right or wrong. Webchat queries are likely to be less complex, so advisors should be able to deal with them quickly and easily. Customers shouldn’t have to wait for someone to answer the chat request, and advisors should quickly acknowledge the question so the customer knows a response is being prepared. This is why many contact centres adopt webchat as part of an omnichannel approach, so service advisors can retrieve detailed and personalised information about customers, as they would through the voice channel, efficiently. 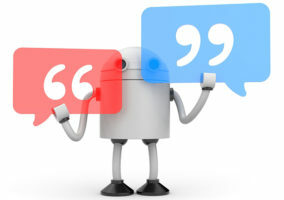 Increasingly, webchat hosts are being staffed by chatbots or an artificially intelligent system, programmed to look for keywords to help solve common questions. As the technology becomes more pervasive and sophisticated, webchats will become exclusively staffed by chatbots to free up human agents to deal with more complex requests. Chatbots are a starting point for many seeking advice or a solution, but they are not always the most suitable. When they can no longer provide support, they should defer to human advisors who can address the problem quicker. The biggest pain point for customers is repetition and having to run through their issue again. Contact centres must ensure that webchat chatbots are relaying all the information to human advisors in the event that they cannot help, in order to improve the overall customer experience and boost advisor efficiency. Many contact centres who have successfully deployed a chat channel have done so through the alignment of people, processes and technologies. This is done by training advisors, making certain that “chat” is evaluated according to dedicated KPIs, ensuring it does not leave the organisation liable from a compliance perspective, and using solutions that would empower them to scale up to the challenge. In other words, it is by ensuring that there are no silos between the different channels available that the implementation of webchat can be successful. Can you think of any other ways in which the webchat channel can be boosted in the contact centre? If so, please share your ideas in an email to Call Centre Helper.